A growing number of buildings are being designed to use less energy, provide better indoor air quality and focus on the building’s performance as it relates to the occupant’s experience. But facility executives whose goal is a high-performance building that meets these criteria often face obstacles. One hurdle is the perception that high-performance facilities come with a cost premium but produce results limited only to environmental stewardship. In reality, just the opposite is often the case. Organizations can realize a return on their investment, beyond the obvious energy and water savings, over the life cycle of the building. One aspect of that return is the increased productivity of building occupants. The relationship between environmental comfort and productivity has been difficult to quantify. Given the number of factors that influence job performance, productivity and the costs of making facility improvements, top management is often skeptical of any efforts to measure the role of the building as a positive contributor. Although most people intuitively believe that factors like improved indoor air quality will in fact make for a better, more productive work environment, proponents of high-performance buildings have always found it difficult to boil it down to the hard numbers. However, there are recent studies, both domestic and international, that lend support to the premise that a high-performance building will lead to a net productivity gain for building occupants. When facility executives survey the available research on the impact of enhanced IAQ and thermal and visual comfort, they find that it strongly suggests that those factors influence productivity. (Clearly, other factors in the physical environment also influence productivity, including acoustic comfort, cleanliness and ergonomics, but they will not be part of this discussion.) This article highlights nine studies that suggest the potential productivity gains available from high-performance buildings. Workers spend more than 90 percent of their time indoors, at home or work, in shopping centers, or in vehicles. That fact has a tremendous impact on our health and productivity. During the last 20 years, researchers have explored the relationship between IAQ, health and productivity. Study #1: In a survey of 100 U.S. office buildings, 23 percent of office workers experienced frequent symptoms of Sick Building Syndrome (SBS) such as respiratory ailments, allergies and asthma. The impact has been usually hidden in sick days, lower productivity and medical cost, but the economic impact is enormous, with an estimated decrease in productivity around 2 percent nationwide, resulting in an annual cost to the United States of approximately $60 billion. Study #3: A recent study by Bjarne Olsen, chairperson for the International Center for Indoor Environment and Energy (ICIEE) in Denmark, indicated that improved thermal comfort, reduction in indoor pollutants, and enhanced ventilation rates and effectiveness can increase productivity by 5 to 10 percent. Conversely, the research also indicates that a 10 percent decrease in tenant satisfaction with IAQ results in a 1 percent drop in productivity. Study #4: Pawel Wargocki, also from the ICIEE, conducted three separate studies showing an increase of productivity at 5 percent or more through IAQ improvements. Study #5: In Finland, researcher Olli Seppanon, from the Helsinki University of Technology, developed a conceptual model to estimate cost effectiveness based on improved indoor environment. The model shows a decrease in performance by 2 percent for each degree increase of space temperature between 77 degrees F and 89.4 degrees F. Optimal productivity performance was found to occur when the space temperature was 72 degrees F.
Study #6: Shin-Ichi Tanabe from Waseda University in Japan published findings on effects of thermal comfort on task performance and fatigue. The study was related to office spaces with moderately high temperatures. In Japan, it’s recommended by law that office building thermostats be set at 28 degrees C (83.4 degrees F) in the summertime. The study showed that productivity dropped by 2.1 percent when the average indoor air temperature increased by 1 degree C (1.8 degrees F). This study found also that individual air velocity control was able to reduce the perception of mental fatigue by the workers. Study #8: Lawrence Berkeley National Laboratory completed several studies on the effect of daylighting on student performance. One case study from a school located in southern California, San Juan Capistrano, indicated that students with the most daylighting in their classrooms progressed 20 percent faster on math comprehension and 26 percent faster on reading comprehension tests in one year than those with minimal exposure to natural light. Similarly, students in classrooms with the largest window surface areas were found to progress 15 percent faster in math and 23 percent faster in reading than those located in classrooms with a minimal window surface area. Students with well-designed skylights in the space improved 20 percent faster than students without skylights. Study #9: The Rocky Mountain Institute published a report relating “green” buildings to human productivity. The report reviewed eight case studies, two of them with remarkable results. The first was about a Wal-Mart in Lawrence, Kan. The building was designed to harvest optimal daylighting through skylights installed on half of the roof. According to Wal-Mart, the sales per square foot located within the departments with access to natural light were significantly higher than departments located under the conventional roof. Sales were also higher than identical departments in other stores without access to skylights. Incidentally, Wal-Mart employees demonstrated a preference for working in the departments with daylighting. Another remarkable case study that demonstrated the business case for daylighting in a large commercial structure looked at Lockheed Building 157 in Sunnyvale, Calif. Several daylighting strategies enhanced visual comfort and reduced Lockheed’s lighting cost by 75 percent. With daylight generating less heat than electric lighting, space cooling loads also fell. More importantly, management reported that employee productivity was up and absenteeism had declined. Lockheed did not directly publish their data related to productivity gain, but the project architect, Lee Windheim, reported that Lockheed officials indicated an increase in productivity by 15 percent on the first major project undertaken in the new facility, as compared to previous experience in their old facility. Clearly, potential productivity gains cannot be projected the way that energy savings can be. But research strongly suggests that the investment in a high-performance building pays off in occupant productivity. David P. Callan, P.E., CEM, LEED AP, is director of sustainable design and high performance building technology at Syska Hennessy Group in New York City. Salah Nezar, LEED, AP, is the head of the Sustainable Building Design Team for the firm. Study #1: William J. Fisk, “Health and Productivity Gains from Better Indoor Environments” in The Role of Emerging Energy-Efficient Technology in Promoting Workplace Productivity and Health, a report by Lawrence Berkeley National Laboratory, February 2002. Study #2: William J. Fisk, “How IEQ Affects Health, Productivity,” ASHRAE Journal, May 2002. Study #3: Bjarne W. Olsen, “Indoor Environment — Health, Comfort and Productivity,” Clima 2005 Lausanne, 8th REHVA World Congress, Switzerland, Oct. 9-12, 2005. Study #4: Pawel Wargocki, “Making the Case for IAQ,” ASHRAE IAQ Applications, Fall 2002. Study #5: Olli Seppanen and William Fisk, “A Method to Estimate The Cost Effectiveness of Indoor Environments in Office Work,” Clima 2005 Lausanne, 8th REHVA World Congress, Switzerland, Oct. 9-12, 2005. Study #6: Shin-Ichi Tanabe, “Productivity and Future HVAC,” Clima 2005 Lausanne, 8th REHVA World Congress, Switzerland, Oct. 9-12, 2005. Study #7: Alan Hedge, “Linking Environmental Conditions to Productivity,” Eastern Ergonomics Conference & Exposition, New York, June 2004. Study #8: Lisa Heschong, “Daylighting and Human Performance” in The Role of Emerging Energy-Efficient Technology in Promoting Workplace Production and Health, a report by Lawrence Berkeley National Laboratory, February 2002. Study #9: Joseph J. Romm & William D. Browning, Greening The Building and the Bottom Line. Rocky Mountain Institute Publication, December 1994. GS-43 is a new standard aimed at assuring consumers that recycled paint can perform as well as virgin paint. Green Seal and The Product Stewardship Institute worked with The Master Painters Institute (MPI) to develop the standard that ensures that paint meets MPI standards for virgin paint in any category. The new standard contains criteria for collection and sorting, including a physical inspection of each can. Health and environmental requirements include limits on VOCs and aromatic compounds, as well as limits on the addition of harmful chemical components. Packaging, labeling and end-of-life requirements encourage the use of recycled materials, hazard communication, recycling and safe disposal. New York Governor George Pataki announced that the Freedom Tower, World Trade Center office towers 2, 3 and 4, and the World Trade Center Memorial and Memorial Museum will be designed to be certified by LEED at the Gold level. The buildings will be built to be 20 percent more efficient than the New York Energy Conservation Construction Code. Additionally, the redeveloped World Trade Center site will be powered by on-site fuel cell power plants totaling 4.8 MW, one of the largest fuel cell installations in the world. The New York Port Authority and the site’s developer, Silverstein Properties, have also agreed to purchase renewable energy for the remainder of the buildings’ power not provided by the fuel cell system. The buildings and the memorial are all currently under construction. Following on a long-term goal announced in June that calls for all buildings to be designed carbon neutral by 2030, the American Institute of Architects will release a toolkit aimed at boosting the construction of green buildings. In June, a resolution, based on the AIA position on sustainability, was unanimously passed by the U.S. Conference of Mayors that calls for increased reductions of ten percent every five years so that all buildings designed by the year 2030 will be carbon neutral — meaning that they will use no fossil fuel energy. A report from GSA calls LEED the most credible green building rating system of five evaluated. The report was conducted under a contract with the U.S. Energy Department’s Pacific Northwest National Laboratory. The researchers compared the following five methods of rating whether a building design and construction is green: Building Research Establishment’s Environmental Assessment Method (BREEAM), Comprehensive Assessment System for Building Environmental Efficiency (CASBEE), GBTool, Green Globes U.S., and LEED. 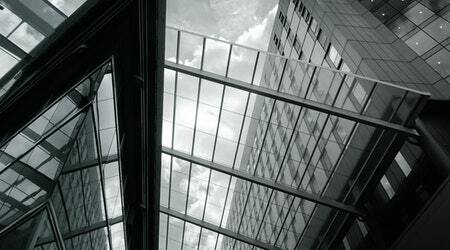 The report cited five reasons for GSA rating LEED the best, including its applicability to GSA projects, its ability to quantify the aspects of sustainable design, the fact that trained professionals verify LEED, the fact that it’s the most widespread system used, and the fact that it has a well-defined system for incorporating updates. On Sept. 27, California Gov. Arnold Schwarzenegger signed into law California Assembly Bill 32, the California Global Warming Solutions Act. The new law will reduce the state’s greenhouse gas emissions by 25 percent to 1990 levels by 2020. It is the nation’s first mandatory cap on emissions and is being hailed by supporters as a revolutionary piece of legislation to address global warming. The law is scheduled to be implemented in 2012. In the meantime, the first step is for the California Air Resources Board (CARB) to construct a list of early action measures that can be implemented before Jan. 1, 2010. This is scheduled to be completed by July 1, 2007. Other key dates: By Jan. 1, 2008, CARB will set up a statewide greenhouse gas emission cap and adopt mandatory rules for significant sources of greenhouse gases. By Jan. 1, 2009, CARB must adopt a plan indicating how emissions reductions will be achieved via regulations, market mechanisms and other actions. Among other things, this means that CARB must develop a cap and trade program allowing companies to trade carbon dioxide emission allowances, similar to how sulfur dioxide emission credits are traded now. The law includes a safety clause allowing the governor to suspend emissions caps for up to one year in the event of an emergency or significant economic harm. Opponents of the law argue that it will force California businesses to leave the state if it’s too costly for them to meet emission caps. Proponents of the legislation cite a study by the University of California, Berkeley, showing that the law could boost the annual gross state product by $74 billion and create 89,000 new jobs by 2020. The glass curtainwall on the Bronx Library Center gives the facility an “open book” feel. The building is the first public building in New York City to be LEED-certified. New York City Daniel Heuberger describes the Bronx Library Center as an “open book.” That’s because the front façade of the recently LEED-Silver-certified facility is a stunning glass curtainwall that “opens the library to the community.” Much like a good book, “it invites people in. It demystifies the building,” says Heuberger, principal with Dattner Architects, the firm that designed the facility. The $53 million, five-story, 78,000-square-foot building is the first public building in New York City to receive a LEED rating. The building was designed under the governance of New York Local Law 86, which requires public buildings to meet either Certified or Silver standards, or surpass certain other city and state environmental codes. But sustainability was only one goal. The designers looked for ways to make the building both green and community-friendly. Hence, the building’s “outdoor room.” In the Bronx, where real estate is at a premium and green space is rare, the designers were able to cordon off a 1,700-square-foot reading terrace area on the south end of the building. The space is open to the street on one side and abutted by the building on another. Two 10-foot high metal trellises will create two green walls on each side, after plants have had time to grow, completing the feeling of an outdoor room. The glass curtainwall is another example of the intersection of sustainability and user-friendliness. The curtainwall, in conjunction with the rest of the design, provides natural light to about 75 percent of seating areas within the library. The lights in the building are connected to photocells, so electricity is not wasted artificially lighting space that is already daylit. Motion sensors in smaller offices, CO2 detectors, variable speed drives, high-efficiency motors and fans, a variable air volume system, and Energy Star-labeled roof also contribute to the building using about 20 percent less energy than a standard code building. Eighty percent of wood used throughout the building was grown and harvested by forests managed under guidelines of environmental responsibility. Low-VOC-emitting adhesives, sealants and paints, along with carpet made with recycled material, reduce the environmental impact of the interior spaces. New York City The Hearst Tower in Midtown Manhattan is the first office building in New York City to be LEED-certified at the Gold level for both its exterior (LEED for Core and Shell) and its interior fit-out (LEED for Commercial Interiors). The 46-story, $500 million building is only the second LEED-certified office building in New York, following World Trade Center 7, which was LEED-certified earlier this year at the Gold level. The distinctive Hearst Tower uses a “diagrid” system — a series of four-story triangles on the façade, which gives the building superior structural efficiency. This design also eliminated the need for nearly 2,000 tons of steel. Only 10 percent of the steel used was new, the other 90 percent recycled. Low-e glass provides natural light for occupants but reduces solar radiation. Light sensors control the amount of artificial light on each floor. High-efficiency HVAC and Energy Star appliances were used — two measures that also help reduce energy use by 26 percent compared with similarly sized office buildings. The roof of the building is designed to collect rainwater, reducing water discharged into the city’s sewer system by 25 percent. Also, a 14,000-gallon reclamation tank located in the basement of the building harvests rainwater, which is used to replace water lost to evaporation in the building’s air conditioning system. The reclamation tank also feeds pumps that irrigate plants and trees inside and outside the building. Overall, these strategies will save the building about 1.7 million gallons of water per year. The building was built on the same site as Hearst’s original six-story structure, and 90 percent of the original structure was maintained or recycled.